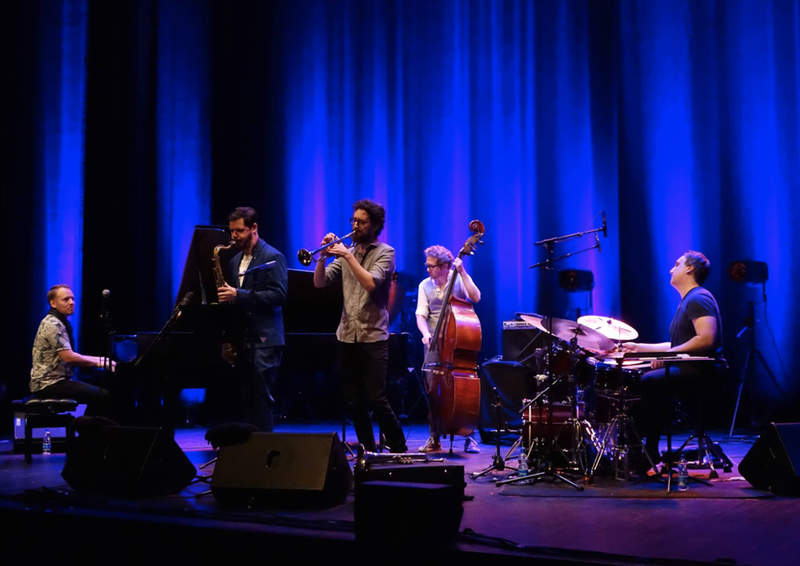 "ANDERS THORÉN IS A FRESH VOICE IN MUSIC, WHOSE DRUMMING REPRESENTS A NEW TAKE ON THE FINE-TUNED ESTHETIC OF NORDIC JAZZ, THAT SWINGS AND HONORS THE "ECM SOUND" THAT HAS BECOME SUCH A VITAL PART OF TODAY´S IMPROVISED MUSIC. I RECOMMEND THAT YOU LISTEN TO HIM." Anders Thorén is a drummer, producer and composer, based in Oslo, Norway. His main focus is on music within the jazz and contemporary music genre, cinematic music, as well as live performances/tours and teaching. His educational background stems from the US with a diploma from the renown school LA College of Music in Los Angeles. He has studied with drumming greats such as Peter Erskine, Dave Weckl, Marcus Gilmore, Joe Porcaro, Ralph Humphrey, and Ricky Lawson among others. Anders has recorded and performed with international artists such as Seamus Blake, nordic grammy winning artists such as Helge Lien, Lars Jansson, Petter Wettre, Frode Berg, and many other great artists from around the world. He has an active role in the following ensembles: BRIDGES with Seamus Blake, THREE (Lars Jansson/Jesper Bodilsen/Anders Thorén), Nordic Circles, Kjetil Jerve/Tim Thornto/Thorén Circumstances Trio, Ivan Blomqvist 3 and Michael Bloch Trio among others. This is in addition to being called for as a sideman on other projects. Anders is endorsed by Canopus drums, Istanbul Mehmet cymbals and Vic Firth sticks. "TO PLAY WITH ANDERS THORÉN IS GREAT FUN! HE IS A VERY WARM AND OPEN PERSON, WHICH IS REFLECTED IN HIS PLAYING. HE PLAYS WITH A CLEAR AND STRONG GROOVE, AND IS VERY SENSITIVE IN HIS COMMUNICATION WITH THE OTHER MUSICIANS IN AN ENSEMBLE.